Posted on May 24th, by Dr Rob Yeung . A mobile phone company recently asked me to provide comment relating to a survey that they had commissioned. My advice very much ties into the idea of Awe or remaining open-minded and open to unexpected opportunity. 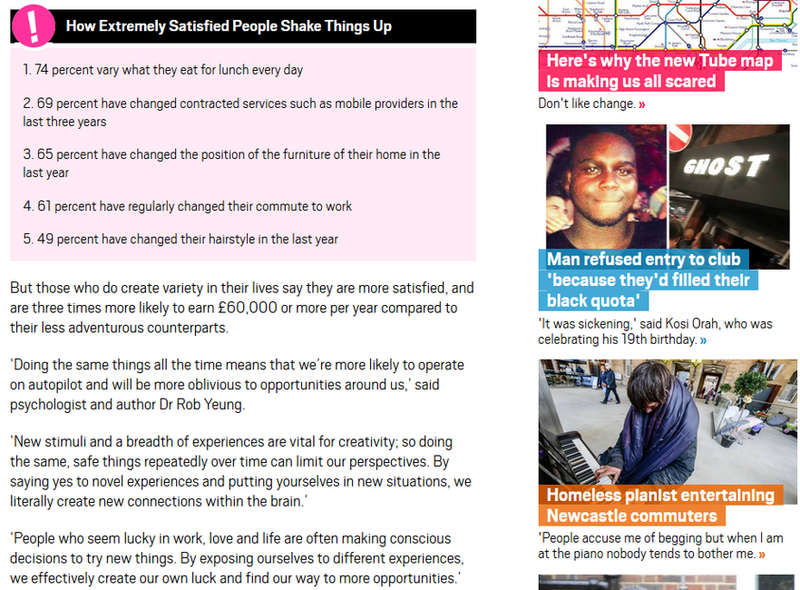 Note that both the headline in the piece (‘Brits who change their route to work are likely to earn more money’) and the ‘How Extremely Satisfied People Shake Things Up’ table present some associations or correlations. That means we can’t know for certain that one thing caused the other. 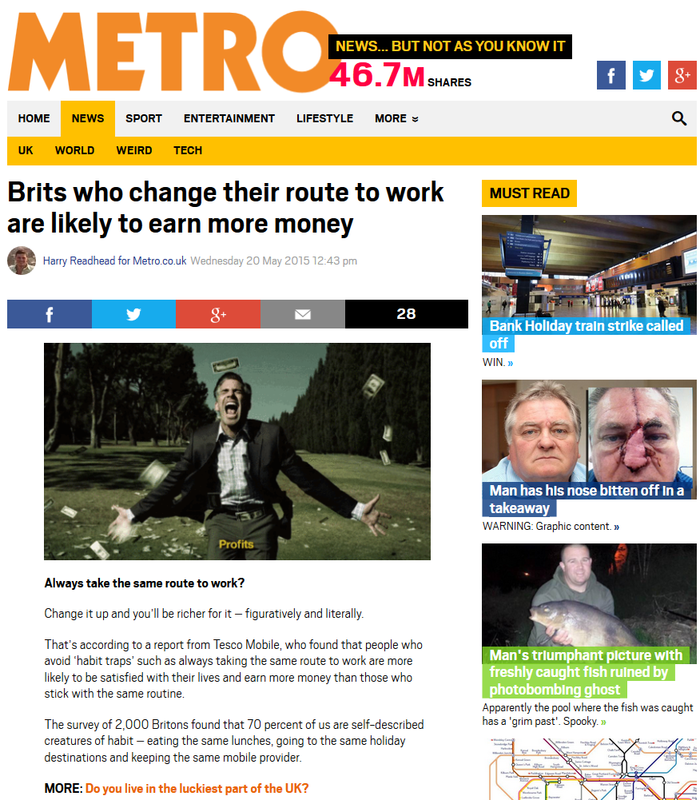 We can’t conclude that simply doing any one of those behaviours – such as changing your route to work or varying what you eat for lunch – will lead to a boost in your earnings! However, other research does demonstrate that new experiences (including social experiences such as meeting new people) may help to boost our creativity; it may lead to more opportunities in our careers as well as personal lives too. So I think my advice (at the end of the piece) is still useful, no matter what your goals in life.